The hotels in Las Vegas are beautiful and when I say Beautiful I totally mean it. Each hotel there is like a theme park with restaurants, rides, casino, shops, and bars. You can never get bored of walking and admiring the hotels and can spend a whole day in walking in and out of hotels and admiring them. Las Vegas is all about night life and you will exactly see everyone coming to life after the sun sets. It’s the best place to sleep whole day and stay out all the night. There are several good places that offer amazing parties and free drinks to the girls. 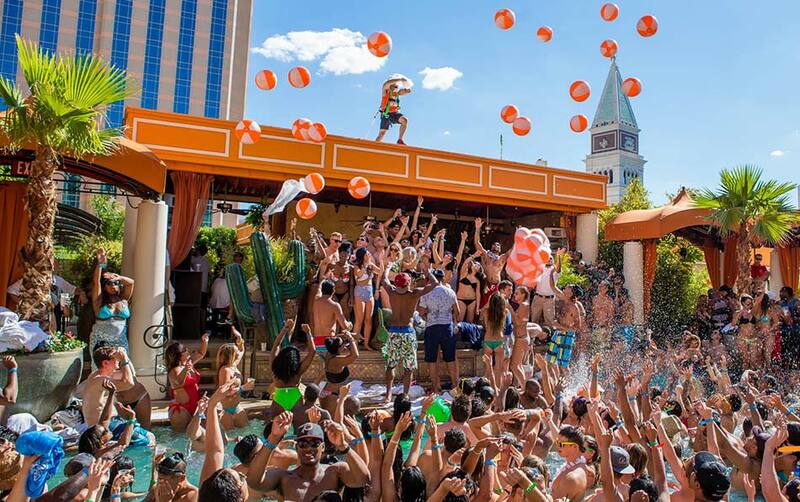 You will surely enjoy the Vegas pool parties. The free entertainment of the streets attracts everyone. You will see the dancers and buskers and guys dressed as super heroes. You will also see magicians and performers showing free shows. There are some fountains and volcanoes that erupt every hour and make the sky smoky and spew fire. For food lover Vegas is the best place. You will find various kinds of dishes that are really delicious and mouth watering. Even though the junk foods are a bit costly, you will find a unique taste in them. You may feel that the city is not good to visit along your family because of the nightlife, parties, gambling etc. But, you will be surprised to know that the city also has good places like adventure parks to visit along with your family and kids. At the end I would conclude by giving a suggestion to visit the pools that shark tanks and amazing water slides. You will surely love the city and visit it again and again to spend your vacations.